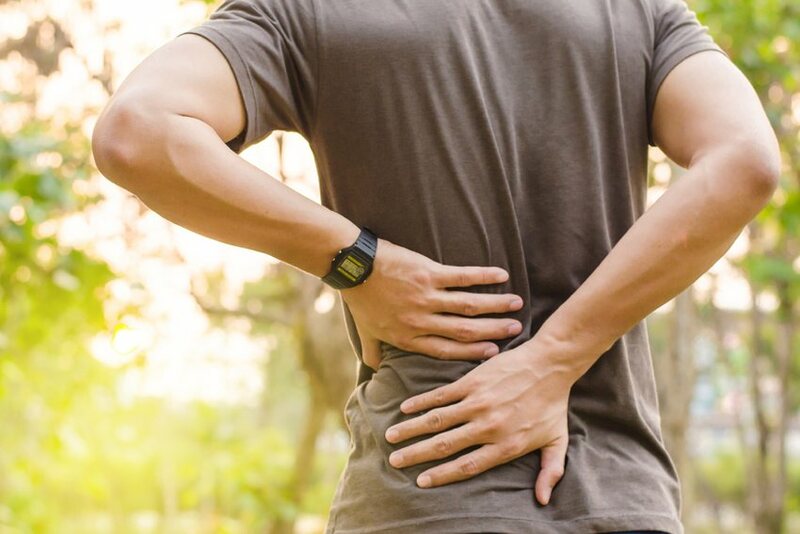 Sciatic nerve pain (commonly referred to as sciatica) is the compression of the sciatic nerve which starts in the low back and extends into both legs. Pain originates in the lower back and proceeds through the buttock and down the sciatic nerve in the back of each leg. Pain so severe you struggle to walk or stand up. Sciatica can range in intensity from low grade ache to severe debilitating pain that keeps you from working or doing the things you love. The pain can feel like electric sharp stabbing pains, deep aches, numbness and tingling, and can even mimic joint and muscle pains in the leg. There are multiple causes of sciatic nerve pain. It can start without any probable cause or be exacerbated by a strenuous event or activity. Most of the time it is not just one event that causes a compression of the sciatic nerve. We typically find that it is prolonged poor positioning, or repeated movements in the wrong direction that create an imbalance in the spine. This imbalance is what leads to injury. An X-ray will not give you much information about the sciatic nerve. A MRI does assist in determining if there is anything more serious going on, but this is usually not the case. Though an MRI can determine if there is a disc bulge or herniation that may be compressing the sciatic nerve, a physical therapy evaluation can do the same. One important difference is that an MRI cannot determine how a disc bulge or herniation will change with different movements. A physical therapist will be able to prescribe movements and exercises to reduce pressure on the nerve and allow for healing. An MRI can often lead to more referrals and more expensive medical costs. Sciatica is often recurrent, meaning it comes back. That is why it is imperitive that you learn to manage and prevent it. This course of action looks different for each patient but often a good option is to visit your local physical therapist. They will be able to develop a custom treatment program for you, which will be geared towards ending sciatic nerve pain completely, not just dulling the pain you are experiencing right now. What does physical therapy treatment for sciatica look like? Our end goal is that you are able to walk away pain-free in the short term and also possess the know-how to avoid sciatica in the future.